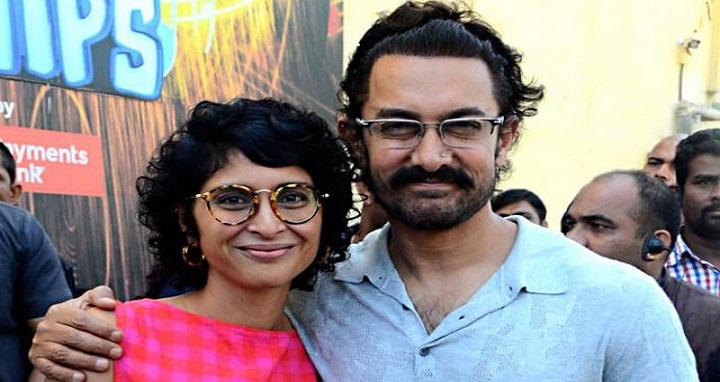 Dhaka, 19 August, Abnews: An interview of Aamir Khan on a Chinese TV channel, in which he has spoken candidly about wife Kiran Rao, is doing the rounds on social media. It is said to have been recorded when he visited the neighbouring country earlier this year. Aamir revealed that even though Kiran was one of the ADs of his 2001 film Lagaan, they were not great friends then. Years later, after his divorce with Reena Dutta, she once called him. "I spoke to her for half an hour. When I put the phone down, I felt so happy." The two then met, and later started seeing each other. They lived together for a year-and-a-half before tying the knot in 2005. "I can't imagine life without Kiran as my partner. I feel blessed," says Aamir in the interview, reports Mid-Day.